You see a map that contains territory of Russia. actual map of Sergeyevka 1 cm to 1 km this. actual map of Zales'ye и OziExplorer calibration displayed. free map of Veselyy и OziExplorer calibration displayed. map of Tudagou 1 cm to 1 km free download. detailed map of Tariboy calibrated for gps. map of Sobachi with gps calibration free download. free map of Slinkino calibrated download for free. detailed map of Serebryanoye this. free map of Novaya Moskva calibrated displayed. detailed map of Monakino for Garmin. interesting map of Molchanovka 1 cm to 1 km for Garmin. 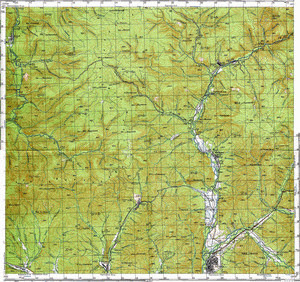 detailed map of Mel'niki with gps calibration free download. free map of Alekseyevka calibrated here. map of Romanovskiy Klyuch calibrated this.